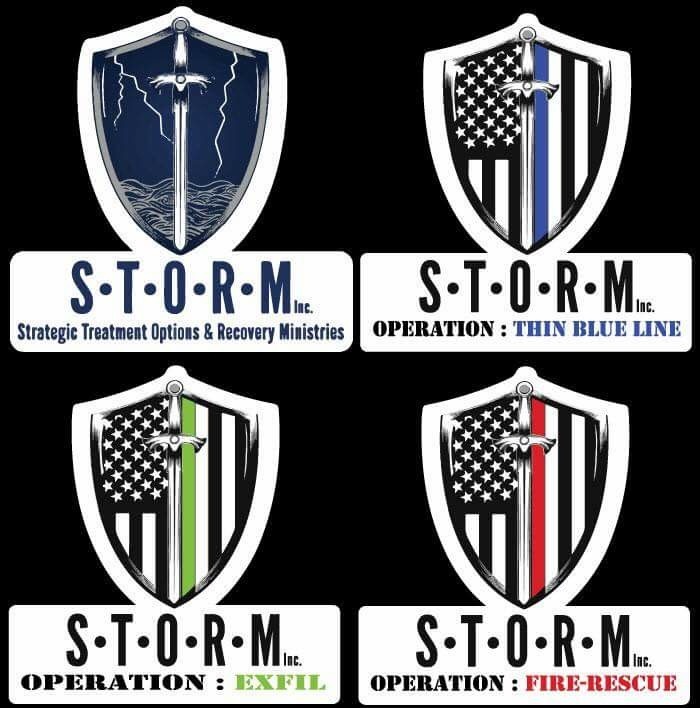 These are Premium Oracal Printed Color Decals, cutout with our STORM logo, and logos for Operation:EXFIL, Thin Blue Line, and Fire-Rescue. They are all weather, so feel free to put them on your car, your tumbler, your laptop- the possibilities are endless! They measure 4” tall at the peak of the shield and 4” wide across the lettering.